It’s quite simple, although the Lei Thar Gone Guest House doesn’t sit on the main tourist track. There are direct buses to Yenangyaung from all key destinations such as Bagan, Yangon, Inle, Taungyi and Mandalay. We can buy tickets on your behalf, pick you up at the bus station or have you collected at the airport in Nyaung U (Bagan). Getting to the bus station: by taxi, from downtown Yangon, approx. 1 ½ hrs., fare approx. 10’000MMK. Bus departure: approx. 6 am and 6 pm, but we recommend you be at the station ½ hr. earlier. Contact us for bookings or for a free pick up at the bus station. There are multiple mini buses during the day, from 8 am to 2 pm and night buses from 6 pm to 9 pm, all arriving in Yenangaung approximately 6 ½ hours later. Nyaung-U (Bagan) is the closest airport to Yenangyaung. Daily flights from Yangon (from US$105 Foreigner / from US$50 Myanmar citizen) From the airport, the 62 mile drive takes two hours. An airport pick-up can be arranged on request (one way $60). From Bagan (Nyaung U) to Yenangyaung there are also several direct buses daily Contact us for further information or ask your Hotel to make the booking for you. Please show the staff the Myanmar text shown below as most people do not know Yenangyaung. 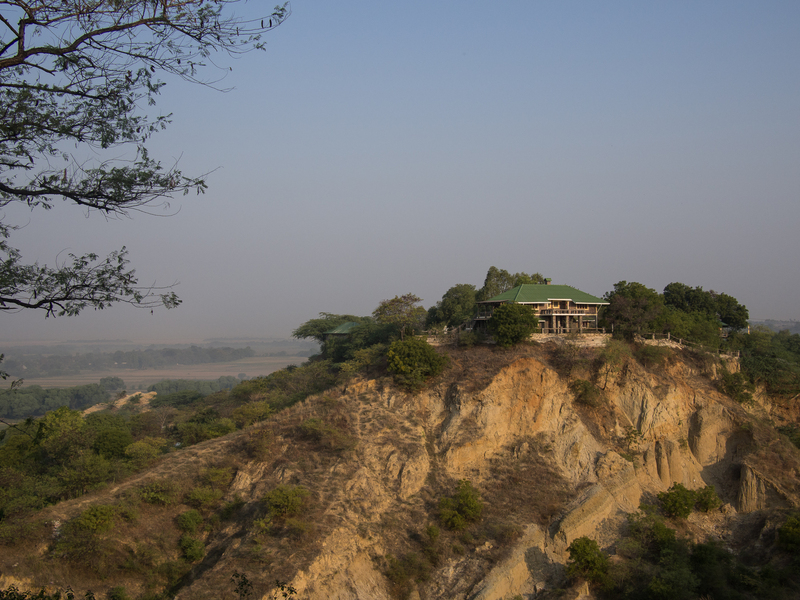 Yenangyaung is located in the Dry Zone of West-Central Myanmar in the Magway Division, on the Irrawaddy River. For centuries the dominant industry of this area was petroleum – thus the name “Yenangyaung” which in Myanmar literally means “stream of oil”. In recent years, oil activity has picked up again. One major foreign company has “successfully re-entered and recompleted several shut-in wells as oil producers.” Local people, however, continue to eek out a meagre living as farmers – it is a very poor yet authentic area.